With just one birthday a year, you had better make the most of this important day! And there’s no better way to celebrate your birthday than to head to Clique Bar & Lounge with your closest friends. 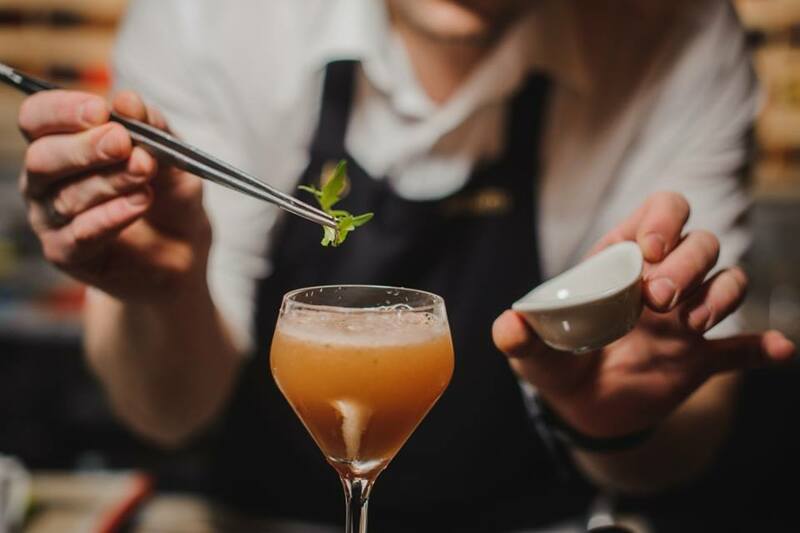 Thanks to our tableside mixology, what could be a typical night out becomes a memorable and unique experience for your whole group. Looking for a personal, unique, and fun craft cocktail experience in Las Vegas? Then you’ll find it in Clique’s tableside mixology. With this specialty service, our talented mixologists will come right to your table to work their magic. 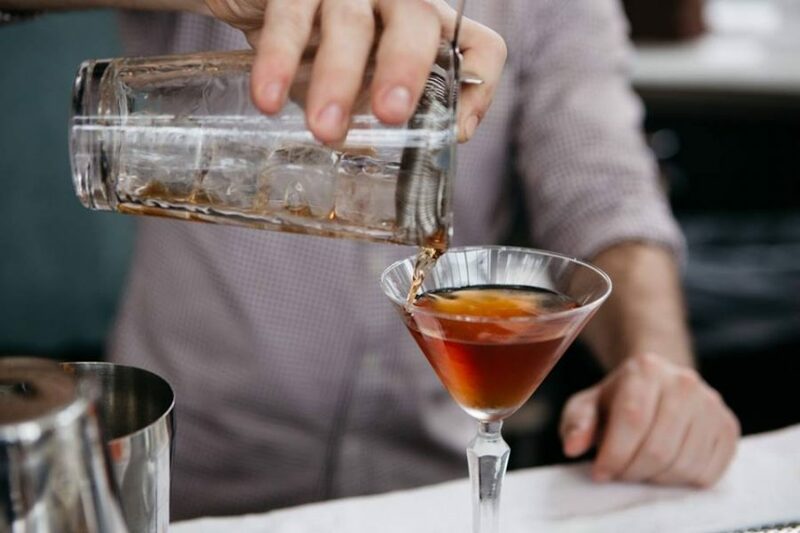 You’ll get an up close and personal look at the artistry that goes into creating each and every drink, and your party will have the chance to ask questions, learn about what makes that favorite drink of yours so good, and have a cocktail custom created for you right before your eyes. With tableside mixology, you’ll have a chance to learn all about the art of mixing the perfect drink. Our mixologists have a unique understanding of how ingredients work together to create the best flavor. From preparation techniques to ingredient selection, they can talk through it all with you so you have a deeper understanding of mixology techniques and education. It’s a learning opportunity you just can’t pass up, and then you can impress all of your friends the next time you’re hosting them for drinks at your place. Just wait until you see their reactions when you craft a drink like a pro, or can explain how the ingredients work with each other to create that memorable taste. Ask your mixologist to craft up one of our amazing cocktails, such as the Doctor’s Orders, which features a ginger infused Bulleit Rye, ginger syrup, honey syrup, lemon, ginger foam, and a spritz of Lagvulin 16 Year paired with candied ginger. Or for something a bit sweeter, try Underneath the Sheets, an amazing blend of strawberry infused Kappa Pisco, Botran Blanco Reserva Rum, lime, Cointreau, Orgeat, and Cruzan 151 Rum topped with a strawberry. For a truly remarkable presentation, our Up All Night fits the bill. This cocktail features Cruzan Rum, Orgeat, lemon, ginger syrup, blackberries, strawberries, and Peychaud’s Bitters. It’s served with a sparkler and is sure to catch the attention of anyone around. When you choose our tableside mixology service, there’s no getting up to go wait in line at a bar. This service allows you and your party to relax at your own table while the action comes to you. It’s an experience that you won’t soon forget. Clique is conveniently located in the heart of The Cosmopolitan on the casino floor, so it’s easy to make your birthday celebration into an event that lasts all night long. Start your party off in the casino, then head over to Clique to continue the party with delicious food and drinks. Our amazing and intricate tableside mixology cocktails will quench your thirst all night long, but we also offer a great menu of savory table snacks. Start with an order of popcorn with honey sriracha and chives for your whole table, then try our Mini Sliders, Mini Lobster Tacos, and Pizza Pockets to get the party going. Don’t worry, we have health-friendly options for anyone who may want them, including our Avocado Toasts, Mini No-Way Sliders, and Miso Sea Bass Lettuce Cups. For dessert, you’ll definitely want to splurge for our Deep Fried Oreos served with Nutella sauce with Frangelico and marshmallow crème with vanilla vodka. Or, try our Crispy Apple Pie Wontons, served with salted caramel sauce and Bavarian whipped cream. Expecting a big group for a birthday party? Clique offers full and partial buyouts available for groups of up to 200. A buyout is the perfect way to host an unforgettable party in an upscale venue. Make your next birthday memorable by having it here at Clique. 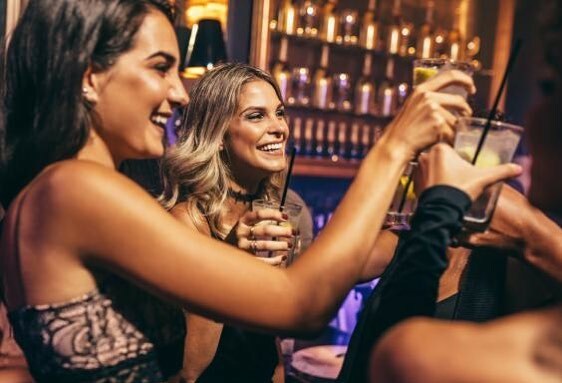 Whether you’re planning your own party or are planning a party for someone special in your life, reserving tableside mixology at Clique will put a unique and fun spin on any night. All of your friends can participate by ordering their own favorite drinks, and tableside mixology is an experience that you can’t find just anywhere. So, get dressed in your best, make a stop at the casino, and then head to Clique for a great night that everyone is sure to enjoy.